Why “Feeling Sorry For Yourself” Makes You Droopy. Today we ask that you let go of feeling sorry for yourself, or anyone else. In life, you meet with adversity, obstacles, and unfairness. This begins in earliest childhood. Children experience a lot of falls, bruises, failures, and blows as they learn to walk about and do things. They also experience many things as unfair. Why does their big brother get to stay up late, and not go to bed? Why can’t they eat all the cookies? So children cry, and throw tantrums. And that is normal and good. It’s good for the body to release emotion when there is pain or trauma. So the child is taught that the world itself is unfair. Perhaps the child was born into a particular race, or social class, or with a disability. Authority figures teach the child that the adversity he faces is indeed unfair, that he is handicapped, that he cannot expect to enjoy life the way more privileged individuals do. The parent or authority figure who teaches such things feels sorry for the child. And the child learns to feel very sorry for himself. Life is not fair. He is a Victim. The tantrum, rather than being a temporary emotional outburst, now becomes a chronic state. A deep dissatisfaction with reality grows. There is always a tantrum going on under the surface, manifesting as depression, anxiety, rage, or addictive behavior. All this begins in the moment you believe that life is truly unfair, that you are a Victim, and that you are justified in feeling sorry for yourself. This is not to minimize traumatic events. Humans can and often do experience deeply traumatic events. But there is a healthy way to move through trauma, to grieve, to release emotion. What is not healthy is to move into a state of chronic victimhood and feeling sorry for yourself. Where you believe that your life can never be okay, because of these things that happened to you, possibly many years ago. This is a self-perpetuating belief system. And this is why it is not healthy to dwell in the state of feeling sorry for yourself. Nor do you help anyone else by feeling sorry for them and affirming their Victimhood. When you meet with adversity, it is good to let yourself feel your emotions, to cry and grieve a loss. But be conscious of the tendency to create a story of Victimhood around it, to complain, to feel sorry for yourself. Parents, do not teach your children that they are Victims. Help them to release emotion and trauma. But do not think of them as Victims, even if they deal with disabilities, or unusual challenges. This is not easy. But feeling sorry for your children simply will not help them at all. This may sound cruel, or uncaring. It is anything but. Holding an image of someone as a Victim, identifying them as a Victim — this is extremely corrosive to a person’s long-term well-being and health. 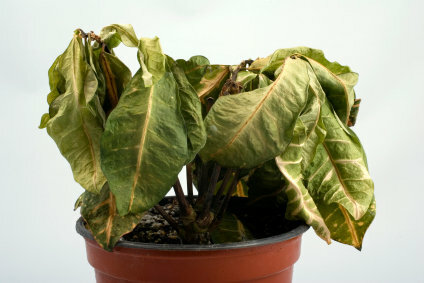 If you were growing a plant in a pot, and for some reason came to believe that this plant was pitiful in some way, a Victim, and felt sorry for it — that energy would actually be corrosive to the plant’s health. The plant might even droop and wither in order to fit your mental image of it. That is how corrosive Victim Consciousness really is. So if you truly love someone, please don’t think of that person as a Victim, or feel sorry for them. Instead, hold an image in your mind that they are healed, healthy, whole, and strong. This is the best thing you can do — for others, and most importantly for yourself.